I feel like I’m constantly around Infinix phones these days, so much so that it is hard to tell them apart. I am tempted to label them with masking tape. At first sight the Infinix Hot 3 doesn’t look all too different. You could easily brush it of as just another Infinix, but I feel like it leaves more of a mark than any other. The last Infinix that left any kind of impression on me was the Infinix Zero 2. So why is the rather low budget Infinix Hot 3 memorable? Face up this phone is not impressive in any way, it looks exactly like every other Infinix. What is even worse is that the captive buttons are not backlit. Isn’t this part of a phone’s basic needs? It is very off -putting. But if you take time and lift the phone up, you begin to appreciate some design points. I have the Space Grey version (I thought space was black? Or is there another ‘space’, always wondered) which I have to admit I like. Grey plastic looks good. Another good point is that the back has some texture to it, little diagonal ridges that increase grip and provide the perfect scratch point if you want to annoy your friends. Additionally, the back curves in at the edges making it wonderfully comfortable to hold in the hand. There is no metal in the form factor of this phone, whether faux or real. It is unapologetically plastic and beautiful. Now that is memorable for a device as low priced as this one. The speaker can be found at the back behind a tiny speaker grill cut out. Expected results, crappy sound, right? WRONG! That speaker is in one word, impressive. It is not only loud but when playing music, you can hear the crispness and depth to the tracks. I am not a fan of back speakers because they spell frustration when placed down on the table. That is not the case with the Infinix. There are little bump on the edges of the speaker that when placed on a flat surface, prevent the speaker from being muffled, just like those bumps on the bottom of a laptop. Awesome right? So it looks good on the outside for its low price, what about the inside? It has a 5.5 inch 720p HD screen, which is amazingly crisp. The colours really pop and the screen is very vibrant. I mean you can see individual pixels but not too much for it to ruin the experience. Many displays of phones around this price point are very disappointing, mostly washed out with high contrast levels. Not this one guys. This one is different. It is impressive. The spec sheet of the Infinix Hot 3 is nothing impressive. It has a Quad core processor clocked at 1.3 GHz, 1 GB of RAM and 16 GB internal storage. You cannot expect it to be super-fast and snappy but at least you can hope for a usable experience with minimal lag. If you do not push it too much, then you will get that. You will be satisfied. There is almost no lag swiping from screen to screen, opening up applications, closing them and moving on to others. The key point here is not to push it way too much. Game play is possible. For heavy games, make sure it’s the only app running, close any background apps that you are not using and you can play your game in peace. Simple games that don’t require too much RAM are a joy to play, combining the display and sound quality. Now the camera brings you back to reality. The 8MP rear camera can work very well with the right conditions. So long as the day is bright and the camera lens is not hindered by fingerprints, you can take some wonderful shots. In twilight and darkness, the LED flash just manages to blast too much light and the photo processing is very sub par. The 2MP selfie camera on the other hand is just a whole other story. It tries too much to put on beauty filter even when I put it to the lowest setting. There is a smoky overlay no matter what which I mean is simply not flattering. So if I were I would stick with the back camera, even for selfies. 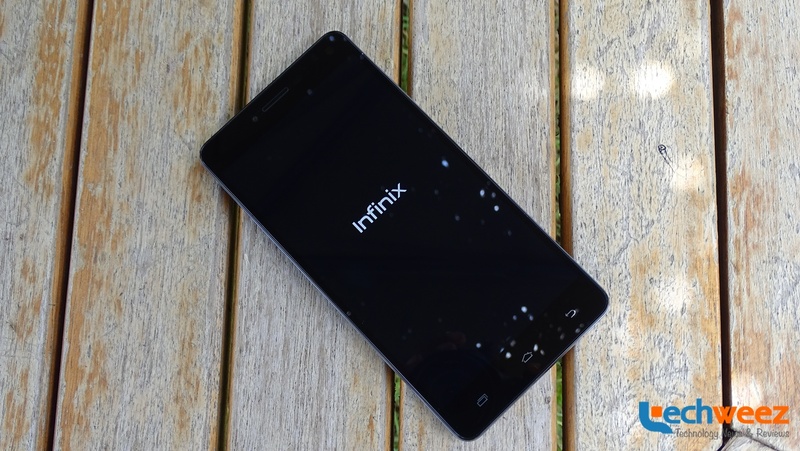 The Infinix Hot 3 comes with XUI version 1.H.0.1 with Android 5.1 Lollipop at the base. I am not a big fan of OEM overlays as this always translates to bloat ware, and the Hot 3 has a lot of it. I counted 10 preloaded XUI applications combined with a flurry of other preloaded apps just creating a lot of duplication. More often than not you will find yourself using and downloading Google applications and completely ignoring all the rest. Apps like backup and reset and system update are features that you can access anyway in the settings, so I do not understand why they need to be separate apps. Duplication. The only X I might open is XClub. This is a forum for Infinix users so it’s a good place to talk and discuss Infinix things, ask questions and get solutions for your device. So if you do not like the general look of XUI overlay and you do not want to go searching for an alternative launcher like I did, there is an app there that allows you to change up the appearance of your phone. Why not channel your phone goals by slapping on an iOS theme? Trick some blind fellas! I can surprisingly stand the software. I do not mind looking at it actually. My biggest problem with it is the notification bar. Unless you love green and everything around you is green, you wear green, you eat green, and you sleep green (too far?) you will get bothered by it. When you drag down the bar, its background goes green. At least it has different gradient levels making it at least look progressive but it’s not supposed to be like that. It just shouldn’t. Check out the video to understand what I mean. It has a 3000mAh battery which is satisfactory at best. Not outstanding. With heavy usage you can barely make a full day’s worth of charge. With fewer on screen time, moderate gaming and browsing you can wait till morning to charge it. But unless I left it uncharged and take out the SIM card, I could not manage 2 days with charge. You can stretch that time by employing the use of the battery saver and when you are very desperate, there is an Ultra lower power mode. Conclusion with just a little bump, it could get better. It has the usual connectivity channels, Wi-Fi, Bluetooth, 3G and 2G. It has dual SIM capabilities which is expected in our market. But the call quality is questionable. Remember how good I said the speaker was, well something happens when your phone rings. The Ringtones sound as if they are coming from a superficial phone in a whole other dimension. Until you see the screen light up, you might just assume it’s not yours. This has more to do with the quality of available ringtones, so as much as I do not do this, I considered placing a track instead. But I digress. My real quarrel is with the call quality. The sound is pretty low, even on high volume and also sounds muffled. Woe on to you if you are in an area with sketchy net where your phone should try making the sound good. It won’t happen here. Either the person on the other end won’t here you clearly or you won’t hear them so well. But it might just have been my individual unit. This Infinix is very memorable, at least to me. In a sea of many budget phones, some that you rather didn’t see the light of day, the Infinix manages to hold its own. For a price tag of Kshs 7,899 available on Kilimall, it gives you way more than you can anticipate. Low budget phones are getting better and better this year, first with the Cubot Note S, which I still use and now this. If you forget the Infinix Hot 2 ever happened (it aged badly) you can find hope that Infinix are on the right track of making budget phones desirable. The design. It handles plastic well. The display almost fools you to imagine you are using an expensive device. The performance is not awful. The price. It is a bargain.